Residential Friendly Dumpster rental service for Contractors & Home Owners. We are not your typical dumpster rental company. We will be on time, we will deliver clean dumpster rentals, we guarantee driveway protection, and our courteous professional staff will even sweep the dumpster area when we pick up the dumpster to take it away. USA Hauling Service is a family owned and operated full service junk removal and dumpster rental company serving the Tampa Florida area since 2005. We offer services for your home or business with 10, 12, 14, and 20 yard dump trailers. 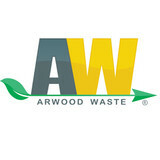 We haul anything from construction/renovation debris, furniture, household or office items, & yard debris. Our equipment will simplify your yard cleanup, renovation project, or decluttering project for your house or garage. Let us discard your unwanted and hard to dispose of items, we pick up where regular trash service stops! 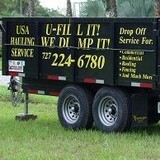 Call now for a free estimate @ 727-224-6780 and visit us on the web at www.usa-hauling.com. 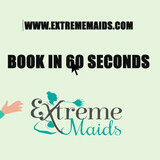 ExtremeMaids.com is a fast-growing Tampa-based house cleaning and maid service provider that can help you in this regard. They are known for professionalism, dependability and exceptional maid service in Florida. They have been cleaning homes all through Florida including Tampa, Brandon, Largo, Temple Terrace and many other cities. We are a family owned and operated company with a passion to bring great customer service and to remove the junk from your life. The Stand Up Guys are a full service junk removal company that covers all of the Tampa Bay Metro Area. We haul any and everything year round, no matter how big or small. We take anything from a small couch to a yard full of debris, you name it and we'll haul it. The Stand Up Guys are well-known for their outstanding customer service and value. We make sure your experience with us is a great one every time. Junk Buddy is your professional Junk removal service. Our purpose is helping others. Our professional, uniformed gentlemen will do the heavy lifting for you, make sure the area is swept cleaned before we leave to haul your clutter away. The great thing about using us is we do our best to donate and recycle the items we remove and will send you back the tax- deductible receipt. So you can feel great that you'll make a positive difference in the world by choosing us! EZ Enterprises of Sarasota provides dumpster, demolition, automotive transportation, towing and swimming pool services to customer in the greater Sarasota, FL area. Locally owned and operated, we provide professional heavy equipment and labor to all of our customers with positive personal service. Some of our other services include, waste material removal services, junk hauling, demolition and construction site clean-ups to name a few. At Cleanout Tampa we provide a full service Clean Out Service for properties that are family or bank owned. We have also seen a large increase in rental properties condo’s and apartments. We have been in property preservation service for over 23 years and started in commercial property management. First each property clean out is unique. So properties require a lock out service where we come in an change all looks to secure the property and even board up windows. We also will do some remodeling like fixing broken drywall, bathroom updating, kitchen updating, flooring-carpet and tile replacement, painting, pressure washing. Some of the properties we service we passed down our acquired by family members or friends thru probate or assets recovered in a estate after a passing of a friend or a loved one. So with this in mind I personally run every job with crews and take full responsibility on all properties from start to finish. I’m Larry the owner and a family man. We take pride in every job we do and you would be hard pressed to find another service provider that does the quality work we do and that’s a fact. I can be reached with questions directly on both of the 2 numbers listed below both forward directly to my cell 24 hours a day 365 days a year. Independently Owned and Operated Garbage Company With over 25 years in the garbage industry, owner John Coppola prides himself on good old fashion service. Superior Trash Service is a full-service garbage company servicing residential and commercial customers in Pinellas County Florida. We provide trash service (twice per week residential), bulk pickup, furniture removal, appliance removal and construction waste removal. We offer competitive pricing with a reputation for friendly reliable service. D & D Hauling services Largo, Florida. We load your junk, trash, garbage, scraps or any debris. We haul it away and dispose in landfills or recycle at metal scrap or salvage yards. Bay area specialist in waste services, debris hauling, and junk removal. Home, store, business, and office clean out. Rental property, storage room, attic, closet, apartment, and condominium clean outs. D & D Hauling provides junk removal and debris hauling services in Seminole, Belleair Beach, Clearwater, FL. Trash disposal in Dunedin and Safety Harbor. Junk hauling services in all cities, mid Pinellas county Florida. There are full-service junk removal companies in Saint Petersburg, FL that help with everything from clutter and hoarding cleanups to appliance recycling to donating unwanted items. Keep in mind that you may need professional help removing certain items from your home, particularly if they’re toxic or unstable. Here are some related professionals and vendors to complement the work of junk removal: Tree Services, Environmental Services & Restoration, General Contractors, Home Builders, Landscape Contractors. Find rubbish removal professionals on Houzz. Narrow your search by city or zip code for a list of Saint Petersburg, FL rubbish removal services. Get contact information so you can ask about rates, and read customer reviews to find the best rubbish and trash removal service for your home improvement project.